What makes Avraham so special? We can find one of the reasons in the above verse from Genesis 22:2. When G-d "Tested" Avraham he instructed him to take his son to the land of Moriah and offer him there on one of the mountains. We all know the story. Some ten years ago I heard a taped lecture by Rabbi Yitzchak Ginzburg and he refers to this verse as a dialog between G-d and Avraham. "And He said: \’Take now your son, your only son, that you loved, Isaac"
Avraham is the chariot (Channel) to the sefirah of Chessed (loving, kindness). Chessed is the first revelation of the Light in this world. The Zohar explains in Genesis 2:4 " אֵלֶּה תוֹלְדוֹת הַשָּׁמַיִם וְהָאָרֶץ, בְּ הִ בָּרְאָם " that the word " בְּ הִ בָּרְאָם " which means "when they were created" has the same letters as " בְאַבְרָהָם ". The world was created with Chessed and by the merit of Avraham. Ishmael was his son from his wife\’s servant, yet he treated him as equal. One of the great lessons I learned from the Zohar is related to Avraham and it gives us understanding and power to have the unconditional love. The Zohar tells us that Terach, Avraham\’s father, was a negative person and idol worshiper. His son established a connection to the light to flow down to our world. If we were to think that the world would\’ve been a better place without him then we are wrong. We never know what would come out of a person. We should never think about killing someone, but send them love and light. There is a special dot above letter " וּ " of the word " וּבְקוּמָהּ ". The four letters " קוּמָה " is the same as " מקוה ", Mikveh, which is a special water pool that cleanses spiritually. " ו " is the letter that channels the Light to the world. The dot puts this particular one on a higher level. This word is also related to the time when G-d will rise to remove all negativity from the world. " קוּמָה יְ ק וָ ק , וְיָפֻצוּ אֹיְבֶיךָ, וְיָנֻסוּ מְשַׂנְאֶיךָ, מִפָּנֶיךָ " (Numbers 10:35 ). You may think that Lot \’s daughter made a terrible act but the result was not so. 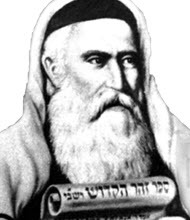 Rav Shraga Berg, commented on that and said that the older daughter saw the destruction of Sodom and Gomorra as the destruction of the whole world. Her mother had turned to stone earlier and she believed that with her action she will save the world by creating continuation. That consciousness merited her to have a son that from his seed, Mashiach will come. Let us hope it will be today, Amen.